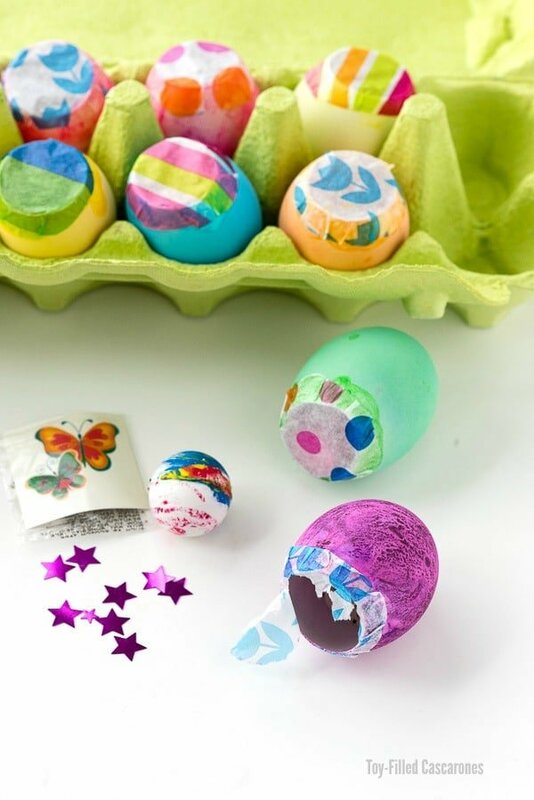 How to Make DIY Toy-Filled Cascarones or Confetti Eggs! 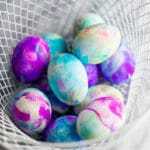 Confetti Eggs or Cascarones, are traditional Spanish dyed, confetti-filled eggs used to smash on someone’s head! 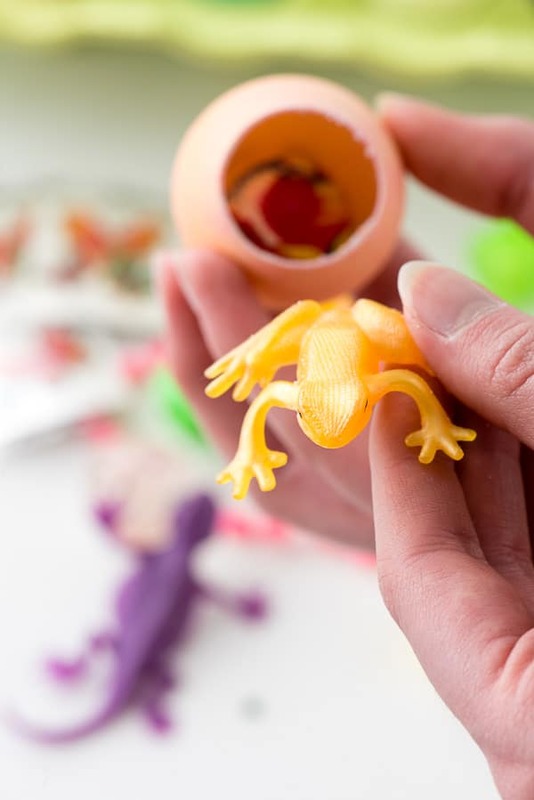 This version is made with artificial, dyeable eggs filled with small toys and trinkets perfect for an unexpected Easter egg hunt! For the past five years I’ve challenged myself to come up with different ways to dye Easter eggs. It’s not that I want to break from tradition but I’ve had some fun ideas I’ve wanted to try. Based on the reception, I’m not the only one who loves to experiment! This year is no exception. 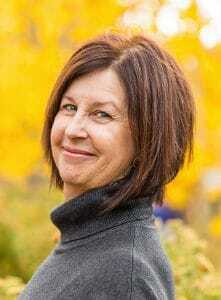 Recently I was remembering a springtime when I lived in San Francisco. I had purchased a great book about secret stairway walks of the city and loving all things whimsical I had set out on one near to my apartment. After climbing a very steep staircase, I was walking down a charming alleyway to the next stairway and walked through an area of the sidewalk that had been completely decorated for Easter. Crepe paper was strewn through the trees above. 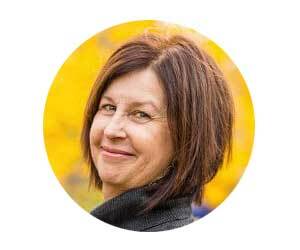 What would have been an ordinary walk in front a small apartment building had been transformed into an enchanting wonderland of paper flowers wound through a little fence, Easter decorations hidden in the tiny garden abutting the walkway and an egg hunt. A little sign welcomed passersby inviting them to take on stuffed egg on their way through the walkway. I was over the moon with excitement! It was so unexpected and enchanting I’ve never forgot it. Before I get into how to make toy-filled Cascarones or Confetti Eggs, I should back up and share I’m plagued by one aspect to the Easter holidays; that it can feel to me to be the last stop on the Chocolate Express, that starts its journey with Halloween, winds through all the December sweets, making a big stop at Valentine’s Day only to end in a chocolate-filled Easter Basket bang. I’m not one to rob my kids of experiencing a traditional holiday but decided last year there was an opportunity to make it just as fun without being all about candy. 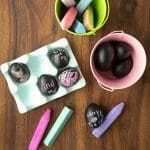 I shared a post last year to help spark creative options that were festive yet not chocolate: 25 Creative Gifts to Fill Easter Baskets without Candy. 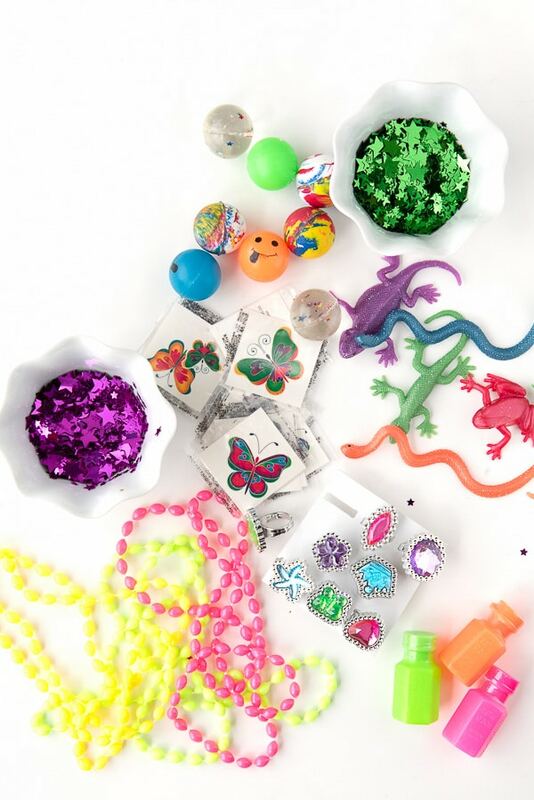 I did heed my own advice and the majority of my kids’ Easter baskets were filled with these items which they loved. We never can count on the weather at Eastertime so usually have an egg hunt indoors with loads of fillable plastic eggs. I’m sure you could take a wild guess what the eggs are generally filled with; candy. Last year I instead took the time to create a list of activities to go along some candy and filled the eggs with slips of paper requiring 10 sit ups, telling a joke, figuring out a riddle I supplied, giving your sibling one of your eggs, etc. One of the kids seemed to get all of the athletic challenges as well as giving eggs to your sibling so clearly the system could be refined. However it was loads of fun and laughs and the excess of candy wasn’t missed. What are Cascarones (or Confetti Eggs)? 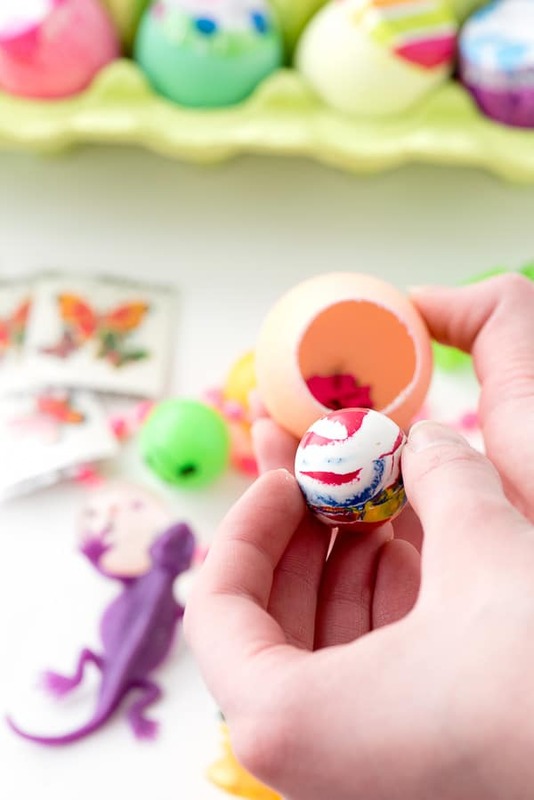 Building both on the experience on the unexpected San Francisco egg hunt and keeping the sugar low and the fun high, I decided to make Toy-filled Cascarones also known as ‘confetti eggs’! 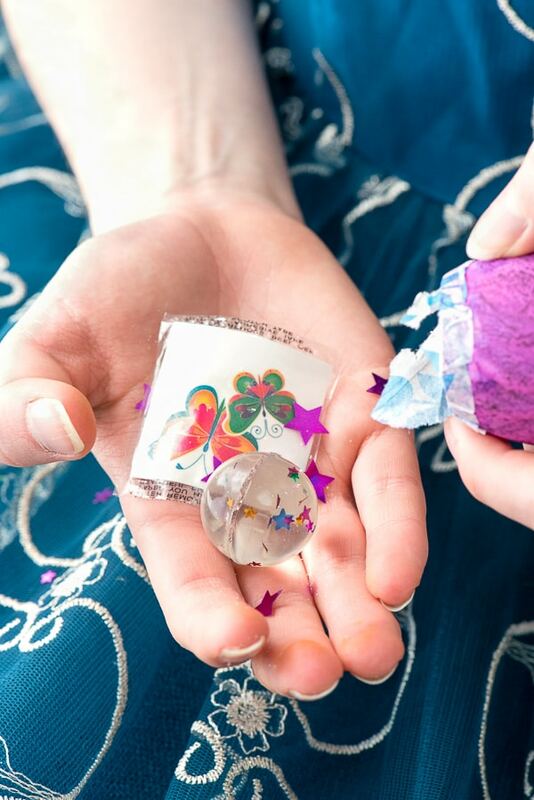 If you aren’t familiar with Cascarones they are dyed eggs with the tops cracked off, then are filled with confetti sealed with tissue paper and smashed on someone’s head for good luck. They originated in Spain in the 1800’s and the custom migrated to Mexico. They were also used in Italy; when a man found a woman he found attractive he would throw one at her (I’d certainly want to date someone who pummeled me with an egg and exploding confetti; you?). I decided to do a spin on that with plastic, dyeable eggs filled with small trinkets found in the party favor area of most stores. It’s a straightforward project that ends up with egg-shaped treasure troves to be hidden for Easter or any party scavenger hunt really. They are NOT for breaking on each other’s heads however! Unlike the Latin tradition, these eggs are firm (thus better for holding tiny toys). 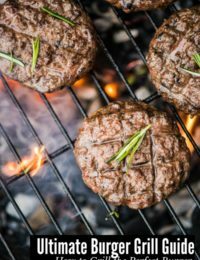 I’ve included some links for buying supplies online for your convenience however most supplies are available at larger stores (Walmart for the dyeable eggs) or craft stores. 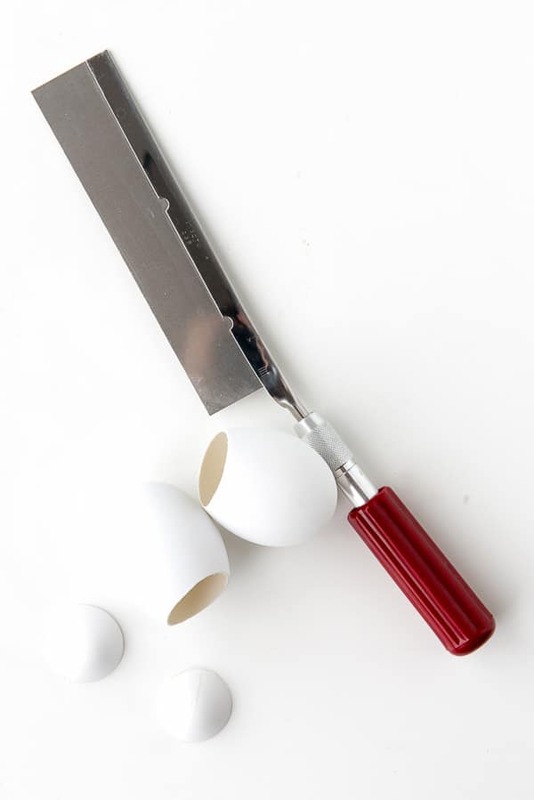 A note on cutting the eggs: I tried a number of tools from scissors, Xacto knife, box cutter and found to make a straight cut the Xacto Razor Saw is the best to leave the edges flat and not jagged. It can be found at hardware stores and I’ve included a link in the supplies for online purchase. STEP 1. Using an Xacto razor saw (adults only please! 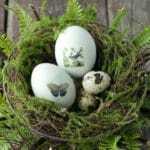 ), saw across the egg ½-3/4 inches from the pointed top straight across the egg. Discard the removed egg point and dust off any particulate from sawing. Repeat for the number of eggs you wish to make. STEP 2. 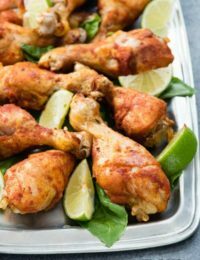 Line a baking sheet with 2 layers of paper towels. Set up dying cups. 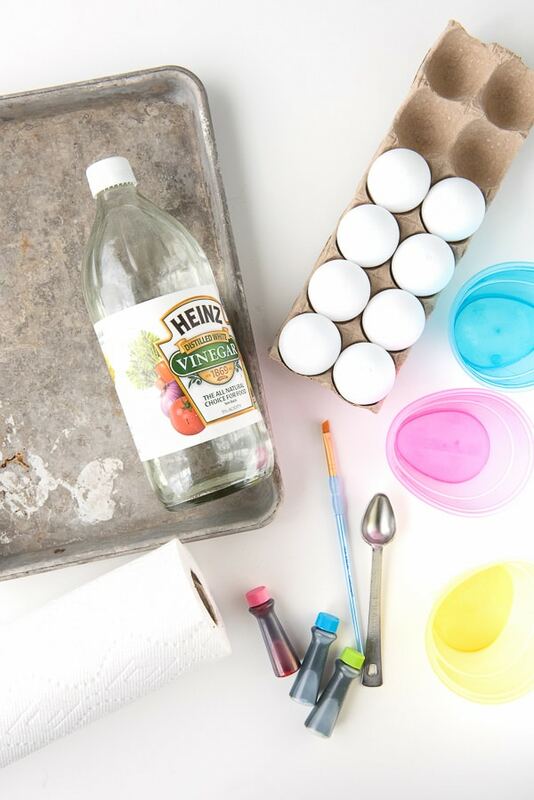 Add 20 drops of a given color in dye cup with 1 teaspoon of white vinegar (note: for the egg to absorb the color well no water is added to the dye and vinegar). I suggest wearing gloves for dying the eggs. 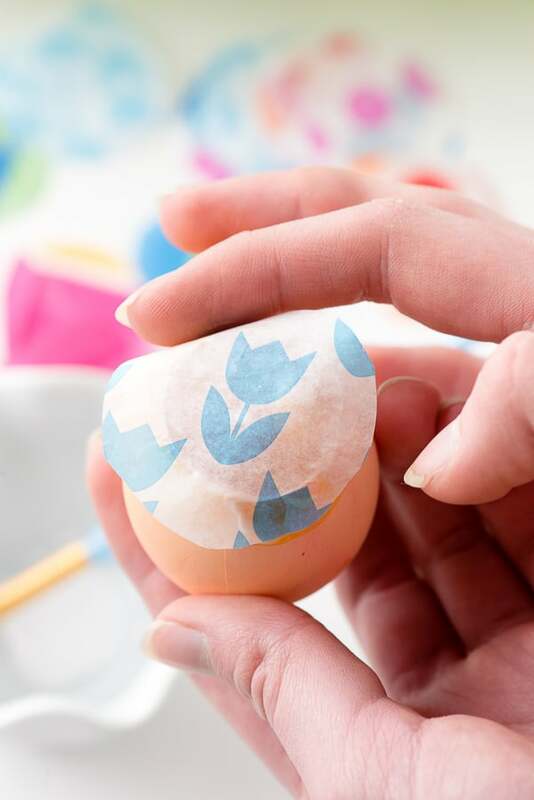 Place a cut egg in a dye cup. Roll is around to fully cover with dye. 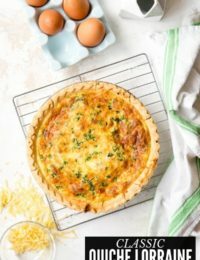 When the color is to your liking, remove and place the egg with the cut side down on the prepared baking sheet to fully dry; eggs may be placed in the dye a second time after dry to deepen the color. Repeat to dye any other eggs. STEP 3. 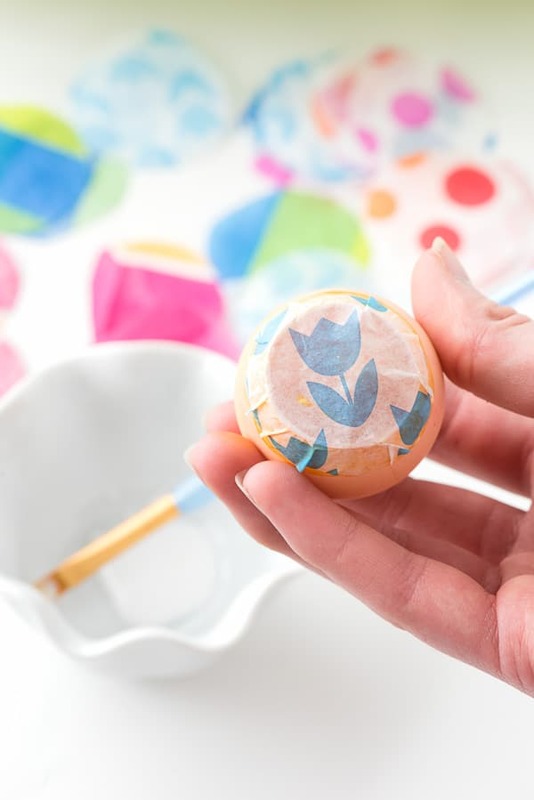 When the eggs are dry (be sure to wipe out any dye inside the eggs with a paper towel before proceeding), add some confetti and trinkets inside the dyed egg. 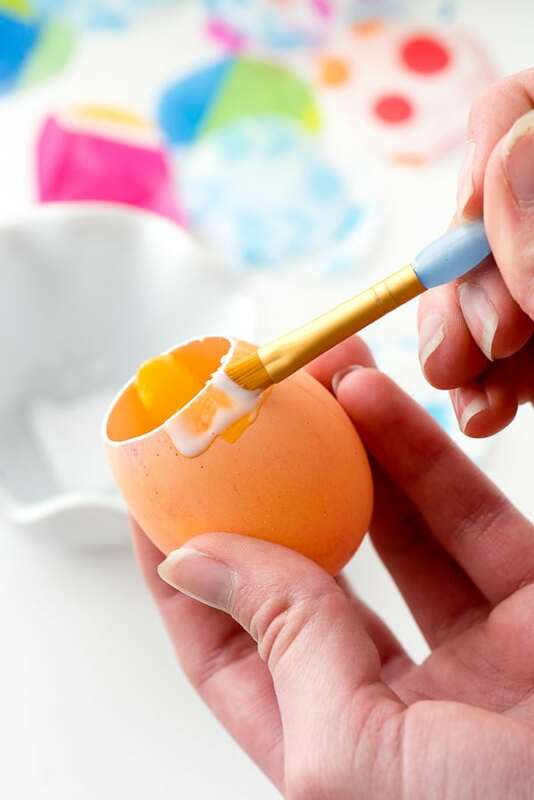 STEP 4: Make a thin line of glue around the outside cut edge of the egg (I like to paint it on with the small brush); place a tissue paper circle over the top of the opening of the egg allowing equal amounts of tissue paper to extend around the opening. 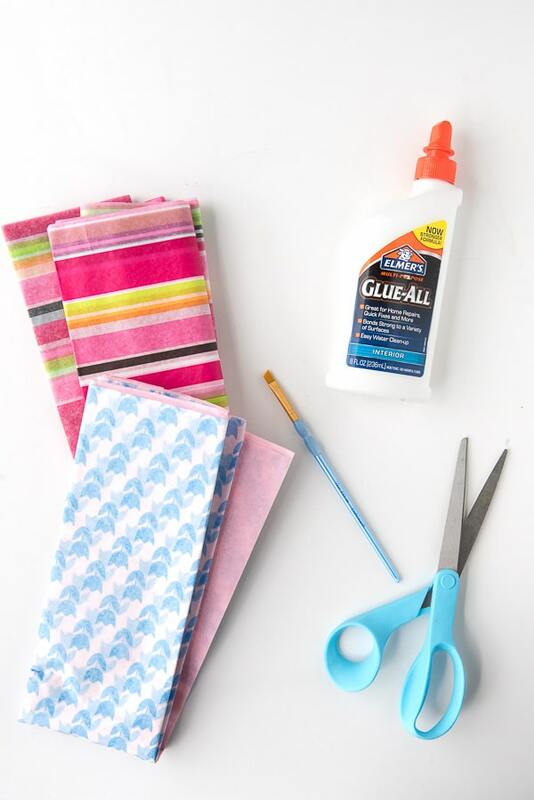 Gently smooth down the tissue paper onto the glue and pat to adhere. Set aside to fully dry. Wow I am so impressed by your creativity! 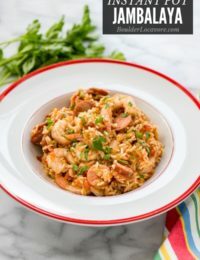 This is such a great way to mix up a classic Easter activity! Love it. The eggs lined up for strangers to find really is enchanting. What a fun thing to do. I can see why you remembered it. What a fun tradition to add to Easter! I bet my boys would love these eggs! These eggs are so cute! I can not wait to decorate with my kids! What a clever idea for the little ones! My kids would have loved this when they were younger. What a cute idea! I’m not so sure the eggs would last with my kids though. They’re so rough with them that they wouldn’t be able to be hid and found more than once. Wow, you really do love to experiment! I am impressed with your project and the results. This is such an adorable idea that I would never have thought of. 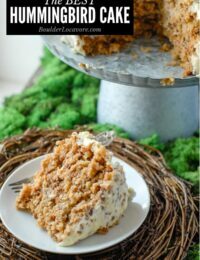 I am in love with this as a means to enjoy the Easter season with my trio! This is a unique and fun idea! 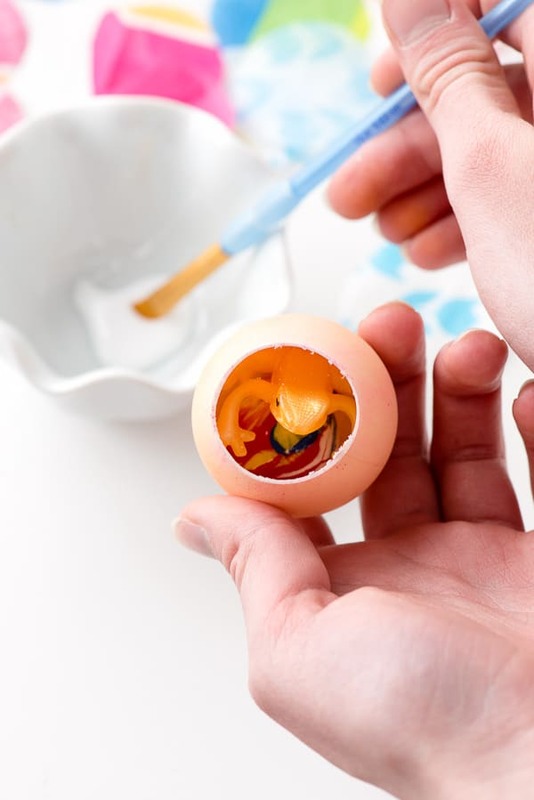 Kids would love this surprises eggs! This is a fantastic idea. 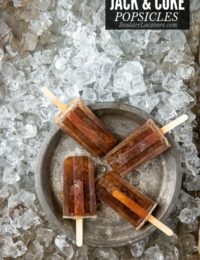 I will have to get the supplies i need to make these on the weekend. That is just so cute. I think it would be so fun to make these. 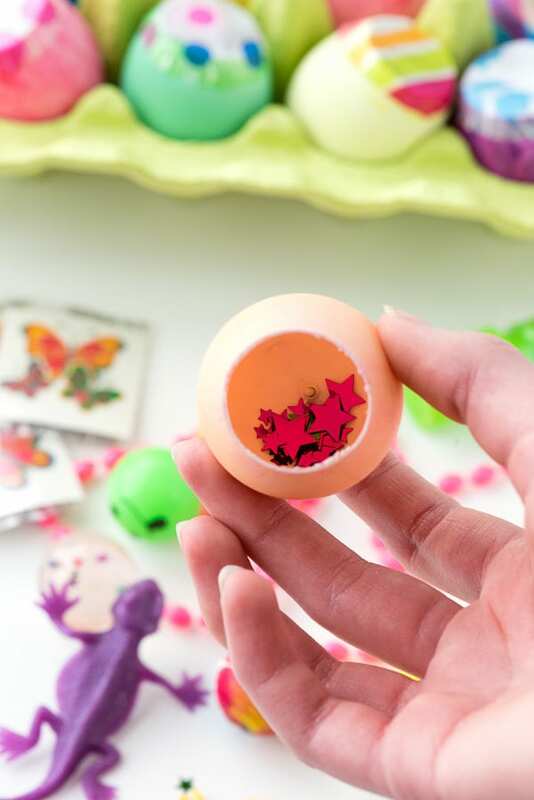 This is a really fun and creative spin on filled eggs! My girls would love to find little trinkets inside of the eggs, in addition to a little candy as well. I had no idea what cascarones were until your post and they look like so much fun. I love the cultural concept of smashing them for good luck and feel they offer a nice break from traditional Easter eggs or plastic eggs filled with candy. This is a very cute idea! I love that you are coming up with creative ideas besides candy. 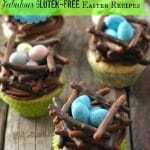 I think my kids would love to find different treasures inside the eggs besides candy. This is the best craft idea! I’d love to make some of these for a party and fill them with goodies. This is such a cute idea. I love that they are filled with toys instead of candy. The eggs turned out so cute! The sharing idea along your walk was fun to read about, too. It’s always nice to get a special, unexpected treat. These are so cute! 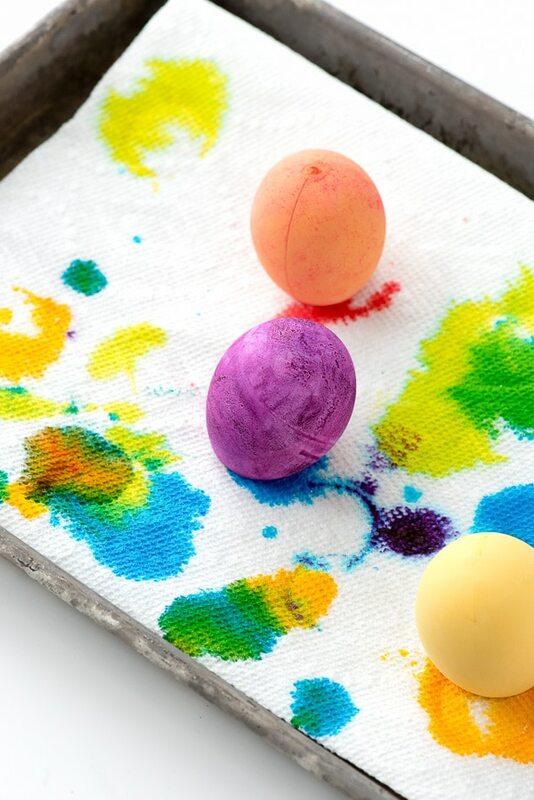 Much better idea than the colored eggs. My kids would love this! How cute! They’re like tiny little Easter themed pinatas. I absolutely adore this.